Admission is open for the Class of 2020 of the 1-year full-time Post-Graduate Program in Management (PGPM) at SPJIMR Bharatiya Vidya Bhavan in Mumbai with July 31 being the last date for submitting applications. The 1 Year MBA PGPM offers profile specific customisation for domain knowledge. The 1 year MBA program includes a 3-month International Immersion at one of the top-ranked Ivy League Global Business Schools. SPJIMR (S.P. Jain Institute of Management and Research), a constituent of the Bharatiya Vidya Bhavan, boasts of a strong industry connect with the locational advantage of a Mumbai campus. It does not have campuses elsewhere. SPJIMR accepts scores for GMAT exam taken between August 15, 2016, and August 31, 2019, or CAT scores for years of 2016/2017/2018 or XAT scores for years of 2017/2018/2019. You can submit your GMAT Scores through GMAC [GMAT code: 6DQ-MJ-12]. Only those candidates who have been shortlisted will be intimated by e-mail, with all the details. Early Offers are extended to exceptionally bright candidates. This implies that if you are an outstanding candidate, you get an offer letter even before the last date of accepting applications. Interviews take place throughout the admission cycle, from February to August in the cities of Mumbai, Delhi, Bengaluru, and Kolkata. The interview schedules, subject to changes, are on April 26 and June 7-8 at SPJIMR Campus, Mumbai, June 14-15 in Delhi, June 21-22 in Bangalore and August 3 in Kolkata. Applications are to be made online only. The application processing fee is Rs 1,800. It can be paid either by credit card/debit card or net banking or Demand Draft favouring ‘S.P. Jain Institute of Management & Research’ payable at Mumbai. PGPM has Rolling Admissions under which your application will be examined as soon as it is received and you will be able to get a reply much faster than schools that wait for the completion of the entire admission process. Early Offers are extended to exceptionally bright candidates. This implies that if you are an outstanding candidate, you get an offer letter even before the last date of accepting applications. Rolling Admissions and Early Offers help you plan your transition from a full-time job to school smoother. Interviews take place throughout the admission cycle. 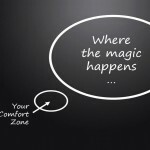 If shortlisted for the interview, you would have the choice of opting for one of the interview venues. Those living abroad at the time have the option of appearing for the interview over Skype held as per institute’s timings (IST). On completion of the selection process, declaration of the final list and payment of fees, the blended web learning module commences mid-October. On-Campus Registrations take place in the second week of January 2020. The Admission Fee is Rs 60,000 and Tuition Fee Rs 10,40,000. The Computer/IT services Fee/Reading material/books/library & database Fee is Rs 70,000. The Hostel Fee (shared accommodation) is Rs 1,02,500. A Development Fee of Rs 70,000 is to be paid along with a Career Services Fee of Rs 50,000. The International Immersion cost is Rs 3,95,000. The total expenses work out to Rs 17,87,500. Participants will have to bear the expenses for food, personal travel and any other expenses of personal nature during their stay on the campus. 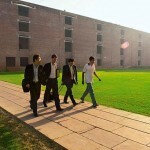 Food expenses on campus are generally expected to be approximately Rs 1,00,000. These must be paid on actuals to the mess contractor. The fee for international immersion includes Airfare, visa fees, insurance, airport transfers, tuition fees and bed & breakfast (B&B). Airfare charges are subject to change depending on price and exchange rate fluctuations. In such an event, the participant is liable to pay the difference. Lunch, dinner, other food and all other personal expenses are not inclusive and must be borne by the participant. Courses are offered in four specialisations, namely, Information Management, Marketing, Operations and Finance. 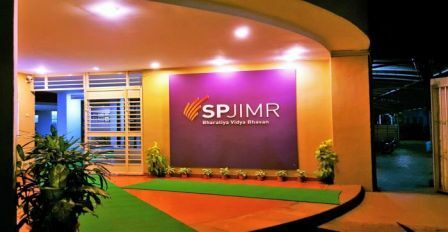 SPJIMR also focuses on improving the social sensitivity of participants. One such project involves working with NGOs (Non-Government Organisations) in a rural setting for about 2 weeks. It would help you to appreciate the way non-profits grapple with promoting big ideas as they build their networks and organisations with little power and limited resources. 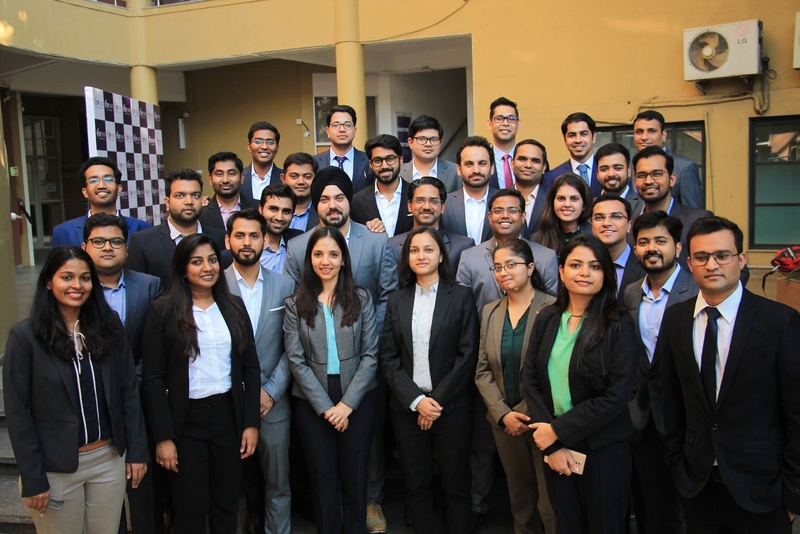 For this purpose, the Centre for Development of Corporate Citizenship (DOCC) was set up to bring management education closer to reality in the Indian context. It exposes participants to the dynamics of life in rural India, where despite modern day tele-connectivity opening up new opportunities, many of the traditional challenges like poor infrastructure remain. The participants have to work on a 10-day project to be implemented in socially or economically disadvantaged sectors in urban/rural areas through a variety of activities that include field visits, consulting and research in the social sector. The project reports are evaluated by an expert panel comprising faculty, representatives of NGOs and corporate leaders. At SPJIMR, non-classroom learning involves value-based leadership development modules like Assessment & Development of Managerial and Administrative Potential (ADMAP), the Personal Growth Lab (PG Lab), the Development of Corporate Citizenship (DOCC) and the Science of Spirituality (SOS). Along with theoretic classroom inputs, the program encourages you to constantly be in touch with the industry and industry trends, through working on live projects, cases, guest speaker series and mentorship programmes with the industry speakers. The annual conclave ‘Samavesh’ brings top business leaders on campus to interact with students, participate in panel discussions and enable a rich exchange between business and academics.